E.Beef wrote: Big Reactors is a mod for Minecraft, built on the Forge modding platform. The mod is designed to be a mid-to-late-game complement to less-realistic mods such as Thermal Expansion, Applied Energistics, and Minefactory Reloaded. These mods all offer fun ways to manipulate and "industrialize" your Minecraft world, and rely on a shared power framework. My core design goal is to provide fun, engaging power systems that are "inspired by" real ones, while maintaining a light-hearted "video game" feel. It should be fun to set up your reactor, fun to modify it, and fun to figure out how to make it work the way you want: more power, less fuel consumption, or even a highly-automated sprawling mega-reactor should all be possible. Further, the way I wanted the mod to work was to move away from big, heavy-weight UI systems. 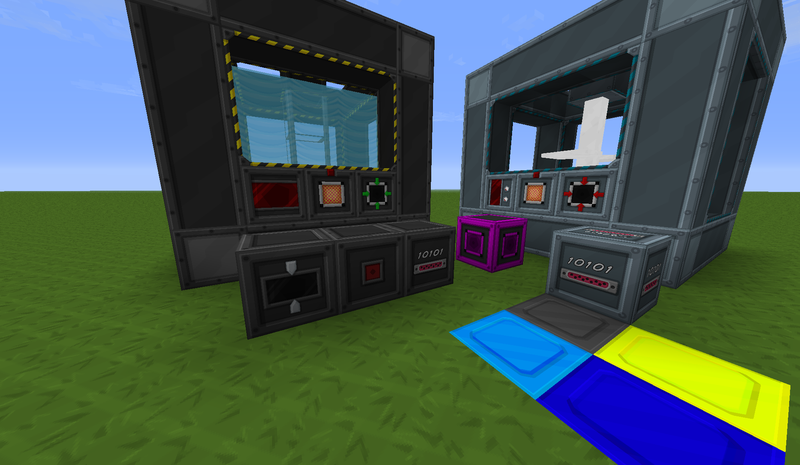 A reactor shouldn't be a series of toggles on a menu, or slots in an inventory! It should be a giant, humming, enormous machine that you build piece-by-piece. Every piece you add should change how the reactor works, so actually building it is fun. !Note: Some of the GUI icons currently aren't done due to a minor bug in the mod. I'll add them once it's updated. Last edited by viesiu on 23 Dec 2013, 09:57, edited 1 time in total. Can someone finish the textures that haven't been done and are unfinished. There isn't really much to do and it'd be fairly simple if I can just build on the old textures easily without having to redraw much (if anything).